Three little words whose beauty lie in their simplicity. 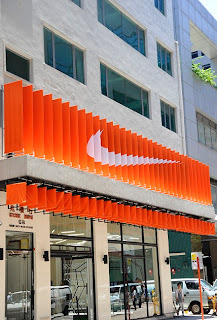 Since the inception of “Just Do It” in 1988, Nike’s iconic signoff has served as one of the greatest calls to action in sports, inspiring athletes young and old and becoming synonymous with the Swoosh and everything it stands for. 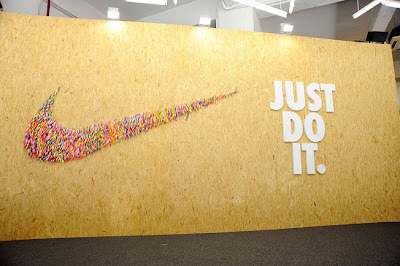 The past 23 years have produced a collection of Nike ad campaigns that manifest the spirit of Just Do It, but whether the ad is interpreted as hopeful, inspirational, celebratory or irreverent, the message is still the same. No excuses, no limits, no doubts, no finish line - Just Do It. Nike launched the latest Just Do It advertising campaign with the idea of “Use Sports To” as the theme. In addition, Nike will host a grand Festival of Sports event across China in August, inviting young athletes to participate in different sport competitions. 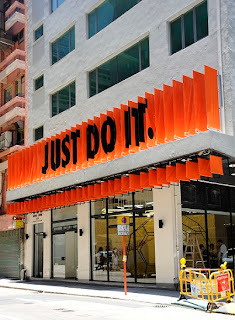 To celebrate this event, Nike Hong Kong transformed, Secure House, located on How Ming Street in Kwun Tong, into, The Field House. The venue showcases a series of art pieces that speaks the language and essence of sports also with a focus on the spirit of Just Do It. The Field House will provide information and training to athletes who are representing Hong Kong at the Festival of Sports in Shanghai. 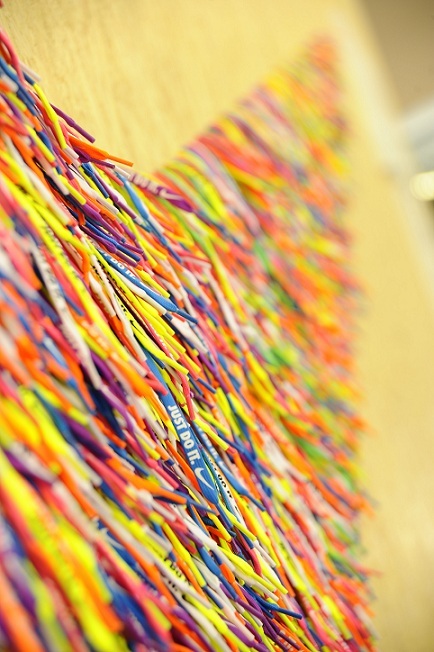 It will also create a platform for audience members to leave messages for the athletes to show their support. I just love this shop! Thank You Marquinho, we will strike to do it better!